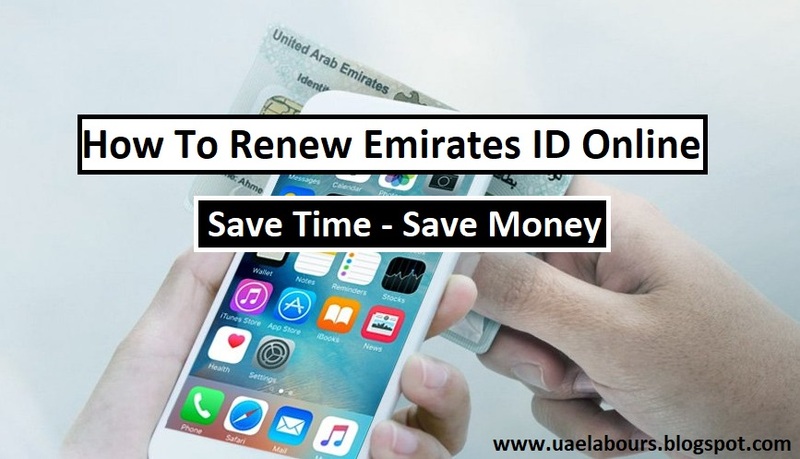 Good day to our Global Readers, we are back with short but important guide regarding Emirates ID cost in UAE that approximately worth 270 AED for 2 Years contract and 370 for 3 Years contract. The price will be less if you are going to apply through official EIDA site, you will be charged 240 AED for 2 Years and 340 for 3 Years ID Card. 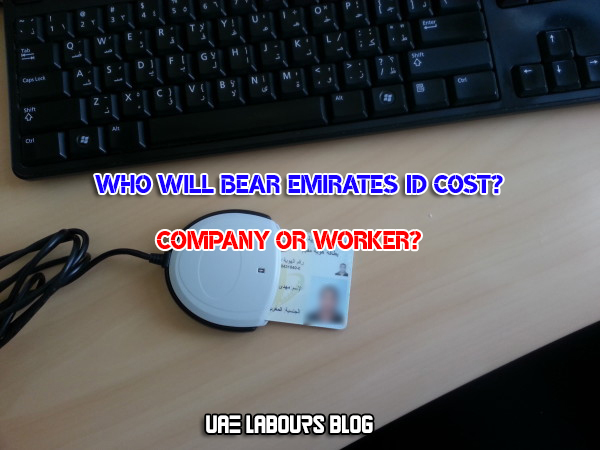 Who will pay Emirates ID cost? I am new in UAE and I want to know if I am liable to pay Emirates ID Fee? What UAE law says about Emirates ID Cost? First of all please note that that there is no legal provision in the Employment Law relating to bearing the cost of Emirates ID (UAE Resident Identity Card) by the employer (company) or the employee (worker) but the EIDA (Emirates Identity Authority) had urged all employers (companies) to take up the responsibility of bearing the cost (application fee) of the ID cards of their employees (workers). Click here to read "UAE EMPLOYMENT LAW"
Yes, it was 2013 when EIDA authority had advised UAE Firms to take up the responsibility, since its issuance is connected with the issuance or renewal of the residence visa of a worker. "An undertaking from the employer to the effect that he shall sponsor and be responsible for the recruited employee, the bearing of his recruitment expenses and his employment in accordance with the employment contract in a away not prejudicing the provision of the federal no. 8/1980 referred to herein." So, as per the interpretation of the above ministerial order may require the employer (company) to bear the cost (fee) of the issuance or renewal of the UAE Resident ID as part of the recruitment expenses borne by the company (employer). Please share this Important and very informative Guide with your friends, colleagues and family members on social sites for awareness, thousands of expats are looking for such informative articles here in UAE. Your 1 Share will be appreciated and it is enough to help someone. Thanks for sharing important information on Emirates id and UAE Employment Law. Please visit this site to get information about VAT in UAE. Thanks for this post.One main thing I had to add in this list is Do not tamper, erase, distort or amend the ID card. Carry ID card at all times and produce it as and when required by law. Adhere to the legal procedures and specified dates for renewal / replacement of the ID card. Report any change in details of the card to concerned department in Emirates ID within a month from date of change. Any loss of card should be reported to Emirates ID within 7 days from date of loss. Apply for replacement of damaged or lost card, pay fees, apart from submitting declaration that ID card is not taken or reserved at any authority or organization. In case the ID card is partially or completely damaged, it cannot be used anymore, and in such cases, the card holder should apply for a replacement for damaged or lost card by paying requisite fee. The ID card should not be submitted in any organization unless such a judgement has been passed by a competent court. In case you find an ID card, hand it over to the nearest Emirates ID service point or nearest police station. All ID card holders should abide by the above directions. Legal guardian or his replacement should assume the responsibility of implementing the above directions. Thanks for shearing the information regarding the points on Emirates id and UAE Employment Law.